This Christmas, instead of simply handling all of my shopping online as I am usually wont to do, I decided to put my paws to work and create as many homemade gifts as I could. This included an organic raw sugar and virgin coconut oil shower scrub, which is a relatively quick and easy beauty remedy for dry skin — no mean feat in the winter, but truly makes a great gift all year-round. While the scrub itself doesn’t take much effort, I especially enjoyed working on the packaging. 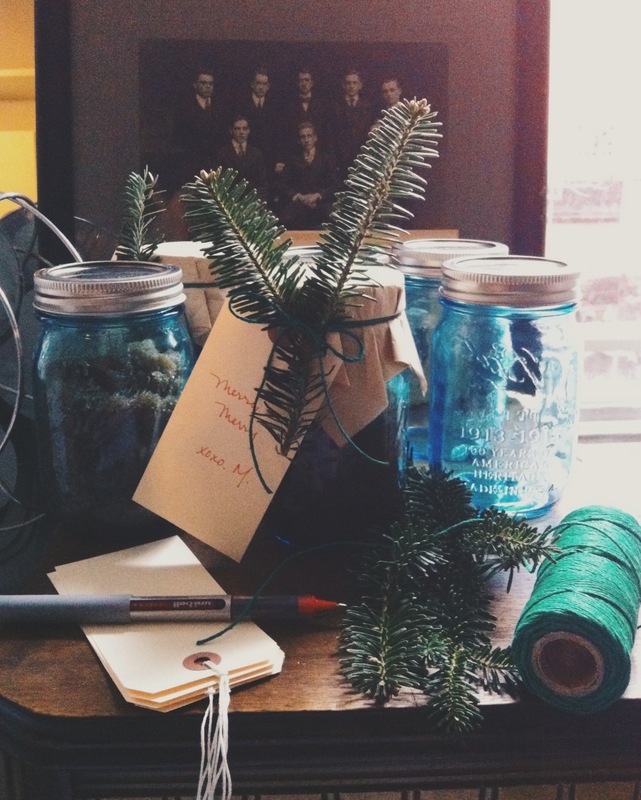 My East Coast recipients received pretty blue Heritage Collection Ball Jars topped with brown craft paper, green twine, manila packing tags and a spring of evergreen. My West Coasters received rubber gasket jars topped with ribbon and smudge sticks from Juniper Ridge. Combine two parts sugar to one part coconut oil in a large bowl. Add a tablespoon of argan oil and mix well. If you want to add fragrance — I honestly like it without, and prefer the natural coconut/sugar scent, but to each her own — essential oils are most effective, but you can also try natural ingredients like vanilla extract, lemon zest, fresh mint. Pop the mix into a jar and you’re all done! Easy! I love it, and it looks adorable! They sound good, and the packaging looks great! I’ve been trying to make people more presents too – jams, chutneys and cakes are my usual, but I may have to branch out and try making beauty products too. Thanks for the inspiration. 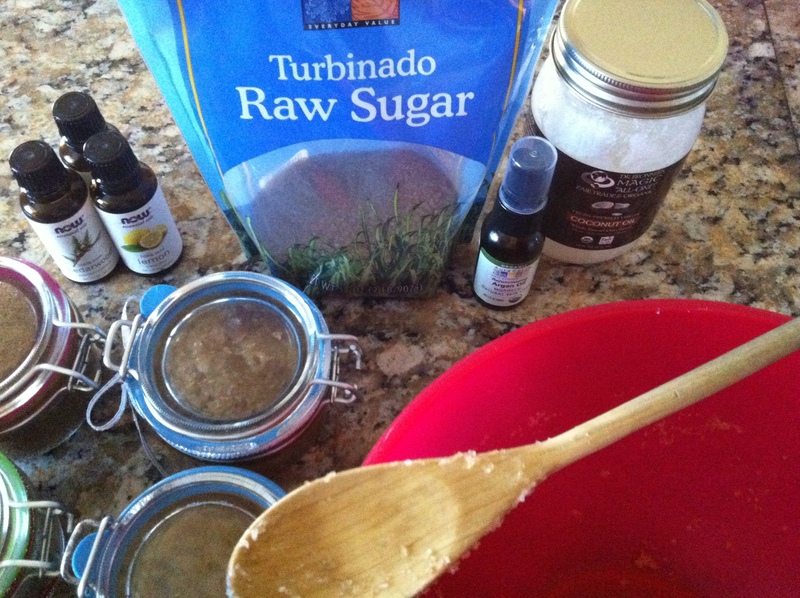 You are currently reading DIY: Organic Shower Scrub at Quite Continental.